If you are wondering why eBay is showing prices in USD or Canadian dollars (CAD), and want to pay in either currency but can’t. Here’s a quick guide! If for any reason the quick links above are not working for you, here’s another method you can use to change the currency to your preference. Unfortunately the currency settings for buyers are somewhat limited, even sellers can only change their currency once per every 12 months. Step 5. Untick the “Convert prices to Canadian dollars” box. Now you will see the original currency for each item, and by searching for items within the USA with the advanced search, you will see USD only. Step 5. Untick the “Convert prices to U.S. dollars” box. Now you will see the original currency for each item, and by searching for items within Canada with the advanced search, you will see CAD only. So your choices are pretty much to change to the US (eBay.com) or Canadian (eBay.ca) eBay store which automatically converts to the local currency. Or, choose to show the original currency and play with the advanced settings. Please note, that there is no way to change currencies in user settings either. The method eBay sometimes uses is it detects your physical location based on IP address and then shows a different currency conversion based on that. For example, if visitors from Europe visit the eBay.com website, they will see prices in EUR and won’t even have an available setting for US dollars. If you want to pay in either USD or Canadian dollars, this will be possible if you have a PayPal account from the respective country of that currency. 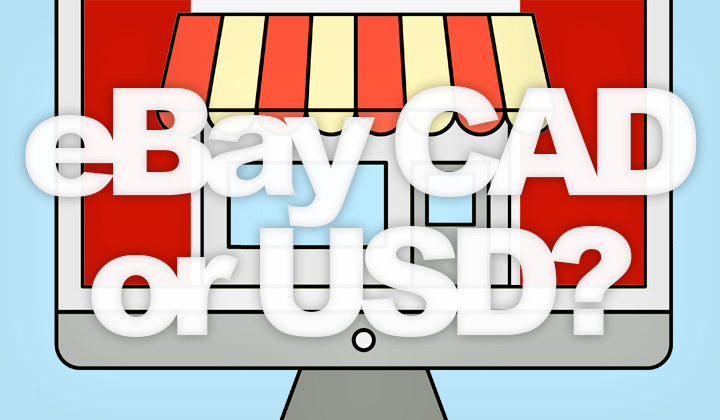 Each eBay seller sets a currency of their own, however PayPal provides the option to either use that currency or directly pay in USD or CAD respectively. So if you cannot pay in Canadian dollars for example, please login to your PayPal account first or you won’t see the option for this. Unfortunately, you cannot change your country easily with PayPal. Shopping in CAD or USD on eBay, and how? Let us know your experience or questions! I hope that helps to resolve your problem or issue making purchases and navigating eBay, and thank you for your kind visit. David. Lastly I want to make sure that readers understand the possibility of blog posts that contain affiliate links, intended for mutual benefit and promotion of my site.